One of the first symptoms of Alzheimer’s disease is a memory problem. The disease targets the hippocampus—a part of the brain associated with the memory. Video games are popular among teenagers and adolescents, primarily as a recreational activity. However, a new study published in the Journal of Neuroscience suggests that playing three-dimensional (3D) video games can boost memory formation and stimulate the hippocampus. In the U.S., Alzheimer’s disease is thought to affect over 50% of those over 85-years-old. Smoking, environmental toxins, and stress will increase the risk of memory problems. But, an active lifestyle can help improve cognitive function in aging adults. The researchers suggest that video games may help keep the brain active, while engaging cognitive abilities. In one group of experiments, the researchers studied self-proclaimed “video gamers” who completed a memory task. The researchers found that the gamers who played 3D video games outperformed those who preferred two-dimensional (2D) games. 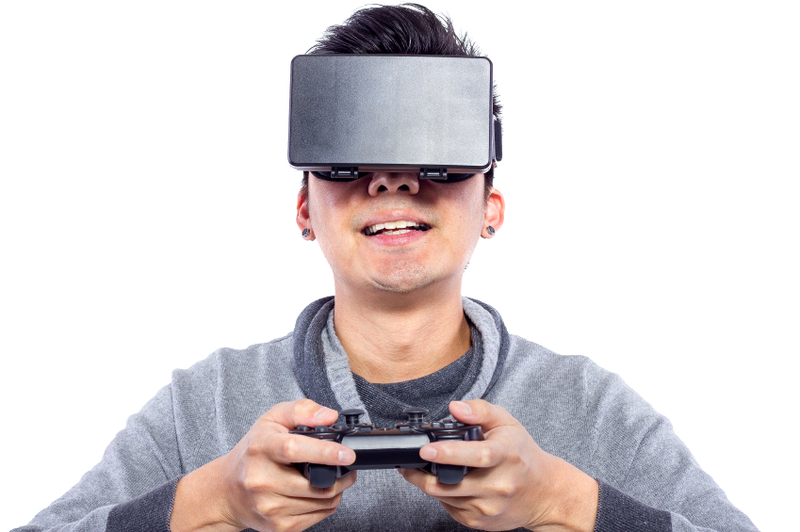 The researchers then found that they could boost memory by having video gamers play 3D games. For the study, college students who were non-gamers played either the 3D game (e.g. Super Mario 3D World) or a 2D game (e.g. Angry Birds) for 30 minutes a day over a two-week time period. The students would take a standardized memory test before and after the two-week experiment period. The researchers found that gamers who played Super Mario 3D World improved their scores during the memory tests by around 12%. On the other hand, the participants who played Angry Birds did not improve their scores during the memory tests. The study researchers were postdoctoral scholar Gregory Clemenson and Dr. Craig Stark of the Center for the Neurobiology of Learning & Memory at the University of California, Irvine (UCI). The recognition of 3D video games declines with age. New neurons form in an adult brain during a process called adult neurogenesis. These new neurons will end up in the hippocampus and help people learn new information. In previous studies from the researchers involving adult rodents, improved environments and exercise can increase neurogenesis function. Dr. Stark also noted that video games aren’t created for cognition, but rather they induce processes of cognition, such as memory, problem-solving abilities, motivation, emotions, attention, and critical thinking. The study results add to the evidence that playing video games may help stimulate the brain. For instance, a study published in the journal Psychology and Aging in 2008 found that older adults trained to play video games improved their short-term memory, working memory, and ability to reason. Another study published in the journal Nature in 2013 found that multitask training using a custom-built video game not only boosted the ability to multitask, but it also enhanced the participants’ working memory and attention abilities. The UCI team of Stark and Clemenson will focus on determining if an enriched environment through either real-life experience or video game playing can help improve the deficiencies in the hippocampus often found in older adults. Clemenson, G.D., et al., “Virtual Environmental Enrichment through Video Games Improves Hippocampal-Associated Memory,” The Journal of Neuroscience, 2015; 35(49): 16116-16125; doi: 10.1523/JNEUROSCI.2580-15.2015. Brooks, M., “Playing 3D Video Games May Aid Memory,” Medscape Multispecialty web site, December 15, 2015; http://www.medscape.com/viewarticle/855980. Basak, C., et al., “Can training in a real-time strategy video game attenuate cognitive decline in older adults?” Psychology and Aging, 2008; 23(4): 765-777, doi: 10.1037/a0013494. Anderson, P., “Video Game Training Can Boost Cognition,” Medscape Multispecialty web site, September 13, 2013; http://www.medscape.com/viewarticle/810965.